Students in US colleges are not graduating on time. According to a TIME Magazine article citing a 2013 survey by the US Department of education, less than 40% of all college freshmen will graduate in four years. In public universities, the ratio of students who graduate on time drops to less than one third. 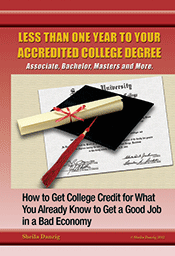 How long does it take to complete a US four-year bachelor’s degree? The US Department of Education reported that 60% of all students graduate with this degree in six years. This causes even more student debt and overcrowded college campuses as more freshmen pile in every semester while few seniors graduate. Taxpayers also suffer the cost of subsidizing overcrowded public colleges and student loans. What is happening to cause this problem and what are US colleges and universities doing to fix it? The first cause is the one everyone talks about the most: cost of school. The cost of college in the US rises every year and student debt is a huge national problem. To offset student debt, many students choose to work their way through college. Balancing work and school causes students to take semesters off to work their way to their next tuition payment, or to take lighter course loads, meaning they earn fewer credits per semester and need to spread their classes out over five or six years rather than the classic four. Of course, this ends up costing them more in the long run, and deprives them of increased earning potential they could have benefited from with a Bachelor’s degree during those extra years. Second, over-crowded campuses mean over-crowded classes. Students clamor to get into courses they need to complete their generals and majors to graduate on time and don’t make it. Having to put off the classes they need to complete their majors or graduate until the next semester or the semester after that quickly translates into extra semesters in school. At the same time, many majors require students to take on internships in addition to required courses, or offer a co-op academic structure. While internships are an essential component to a complete education that prepares students to work in their field of study, these students run into the same problem that students working through college face – not enough hours in the week for an internship and a full course load. Another major cause of students taking more than four years to graduate is changing majors. While this is common in Bachelor’s degree programs, so is taking six years to graduate. When a student spends years on one major and then transfers to another, many of the classes in one major do not count towards major requirements for their new focus. Students have to stay in school longer to complete the course and internship requirements of their new major. What are schools doing to combat these problems? Some schools are taking dramatic measures that change up the way they structure their semesters, and how they organize graduation requirements. University of North Carolina, for example, has an on-time graduation rate of over 80%. Why is this? They don’t allow students who take more than eight semesters to graduate to have a recognized major or minor. Some schools are switching to a trimester system to make more courses available during the summers, and to give students in over-crowded campuses more opportunities to take the courses they need to graduate. Offering more interdisciplinary classes with credits that count towards multiple majors is another option more and more colleges and universities are moving towards. Offering exploratory classes such as these across disciplines gives students a chance to try on different majors for size before deciding on their focus. Many schools are also taking the initiative to encourage students to take full advantage of academic counseling, and to meet with their advisors about their academic pathway early on in their freshman year and continue to do so throughout college. If you are having trouble finishing your degree on time, we can help. Visit us at thecareerpeople.com for creative solutions and expert advise on how to make the most of the work experience and courses you have already completed.